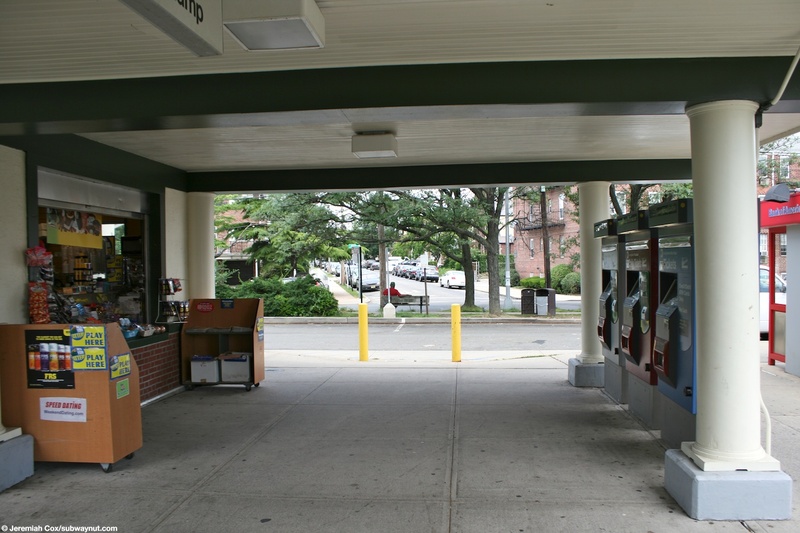 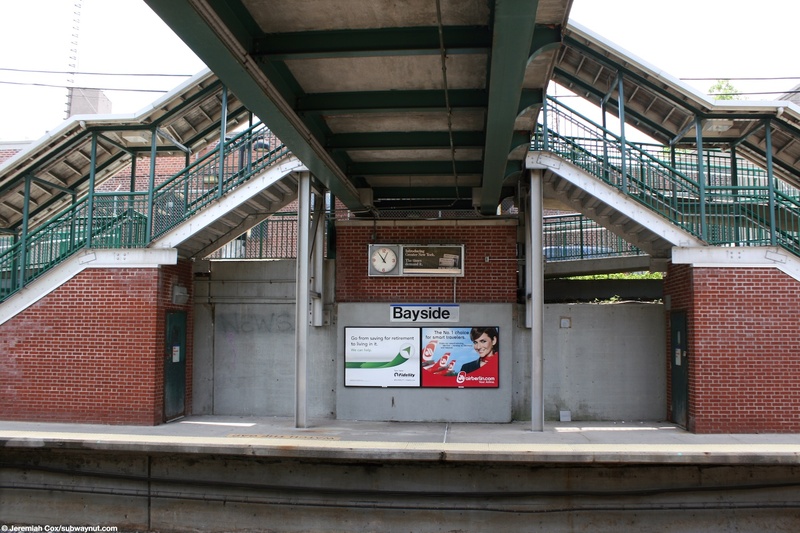 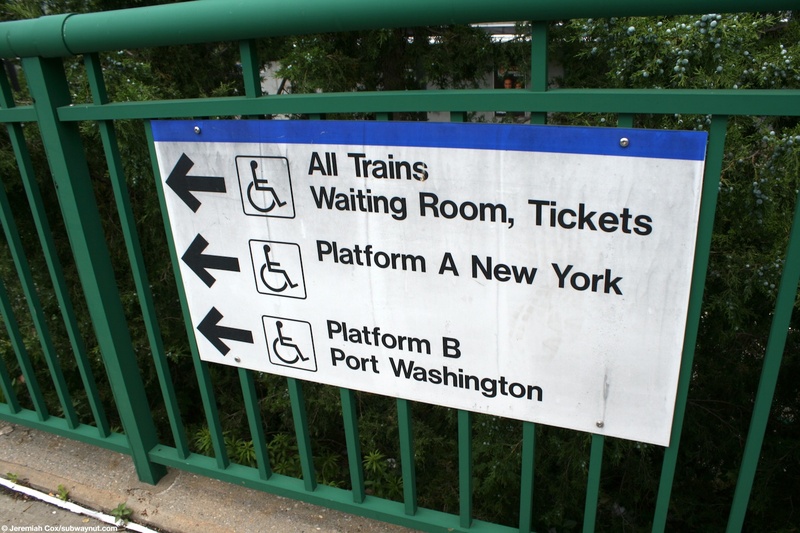 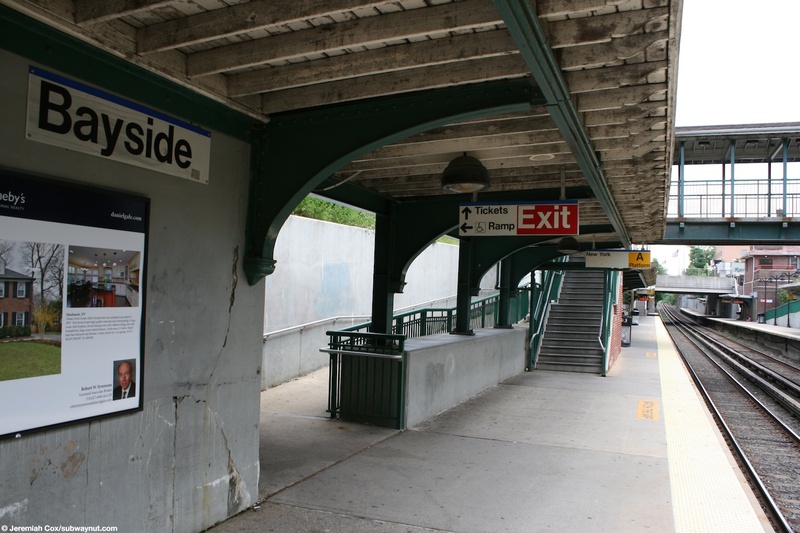 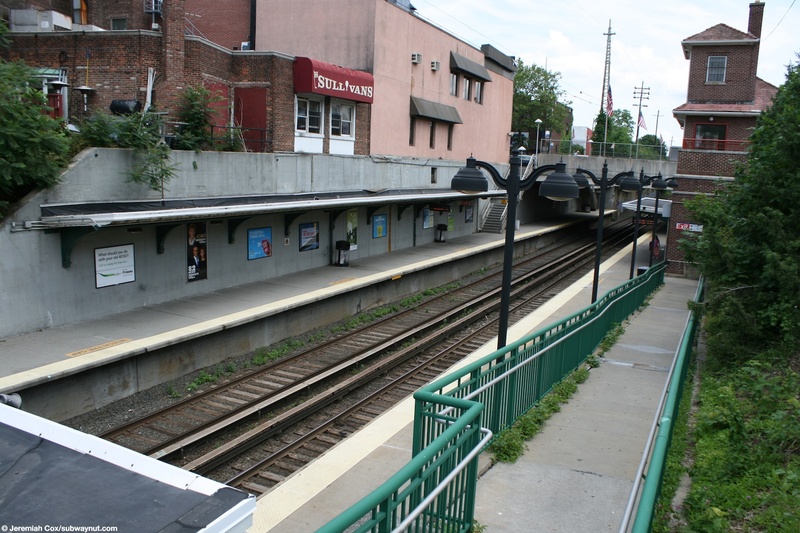 Bayside is a Port Washington Line Station with two tracks and two side platforms located in an open-cut trench. 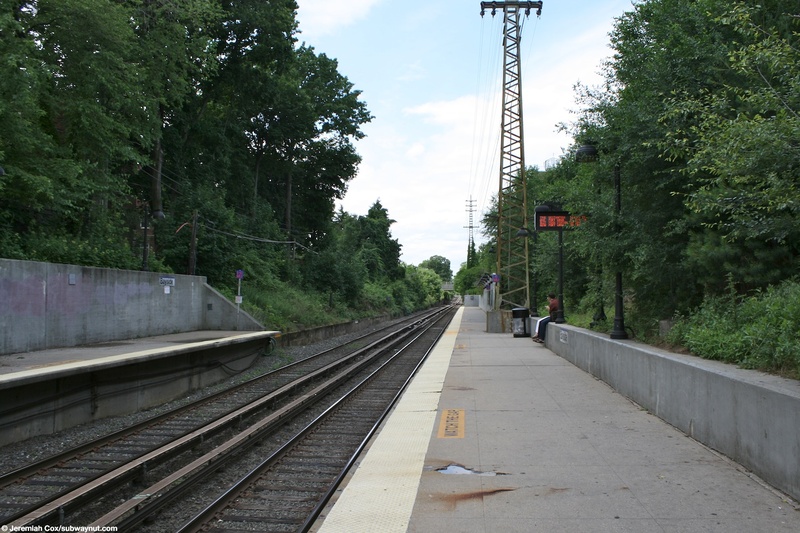 The current station house opened in 1924 and the tracks were depressed in 1928. 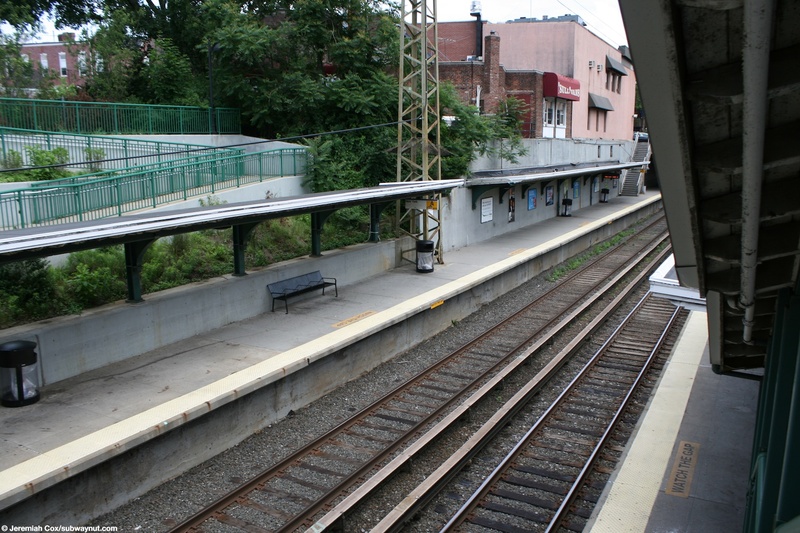 The walls of both platforms are concrete at least at their bases. 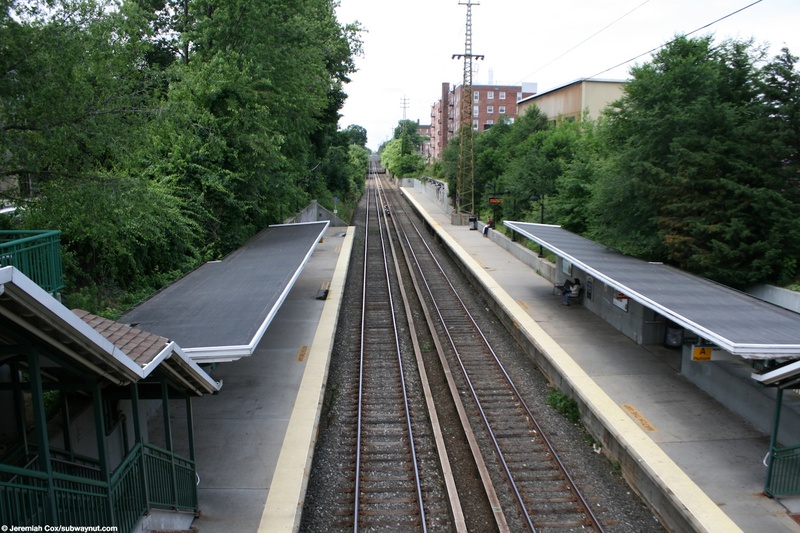 Major portions of the platforms have wooden canopies held up by supports directly from the concrete walls (no additional support beams). 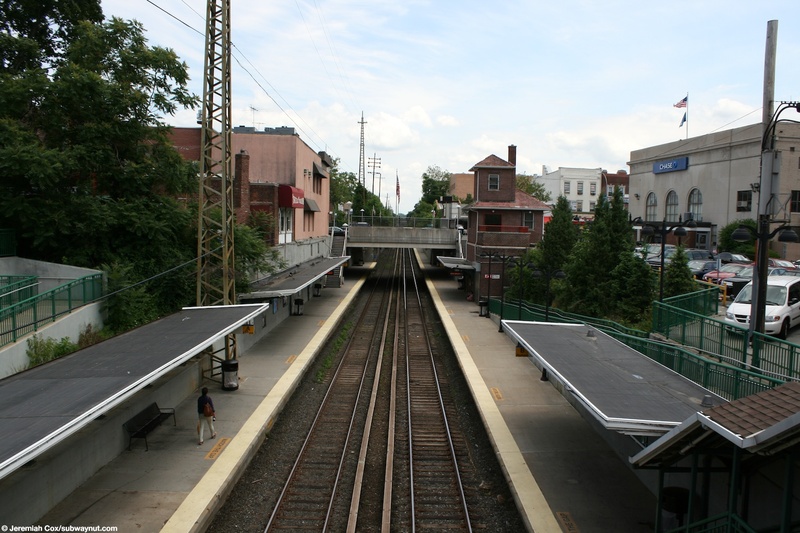 The main station entrance is via a covered footbridge in the middle of the platforms. 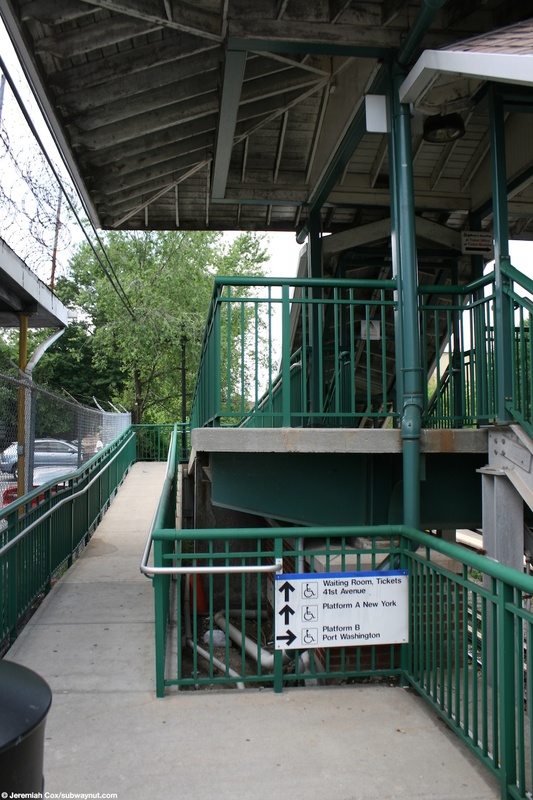 Here two staircases and a ramp lead down to the Port Washington-bound platform and a single staircase and a ramp down to the Penn Station-bound platform. 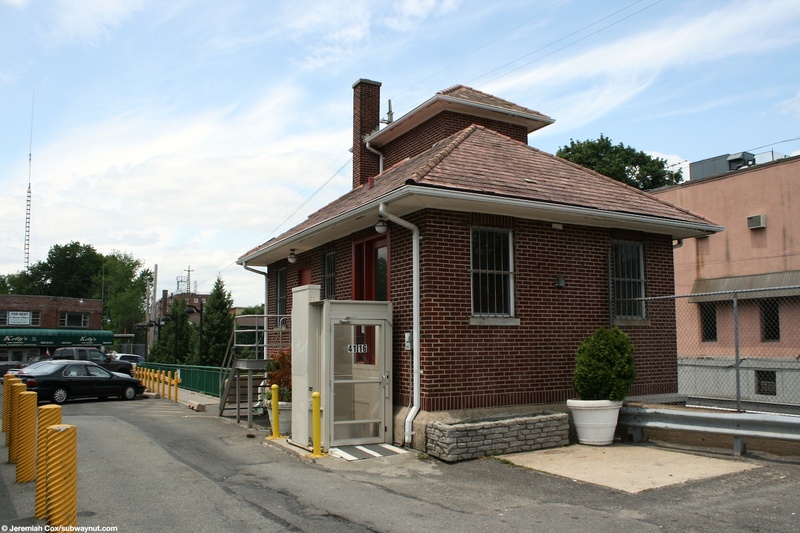 Along the Penn Station side of the railway embankment is a two-story station house. 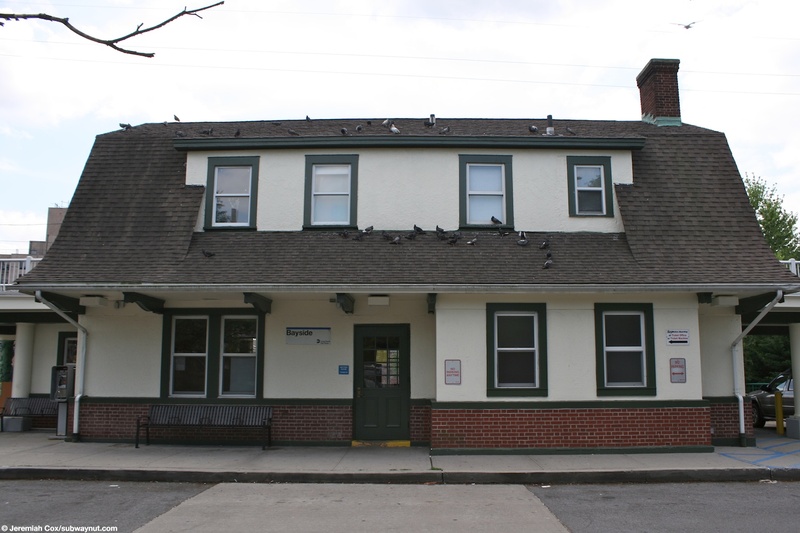 This building is painted white and porches extend on each side of it, used by waiting passengers for the first four years of the station until the tracks were depressed. 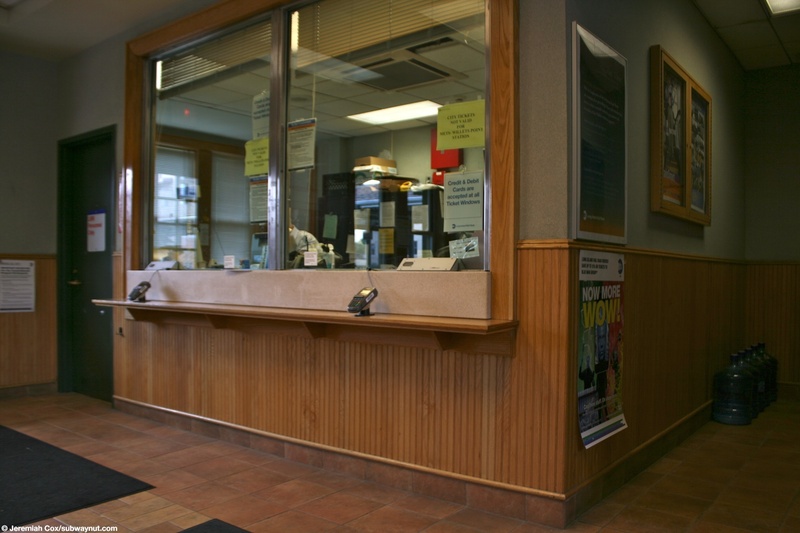 Inside is a ticket office still open weekdays for one shift that is the only times the waiting room is also open except for some hours on Saturdays. 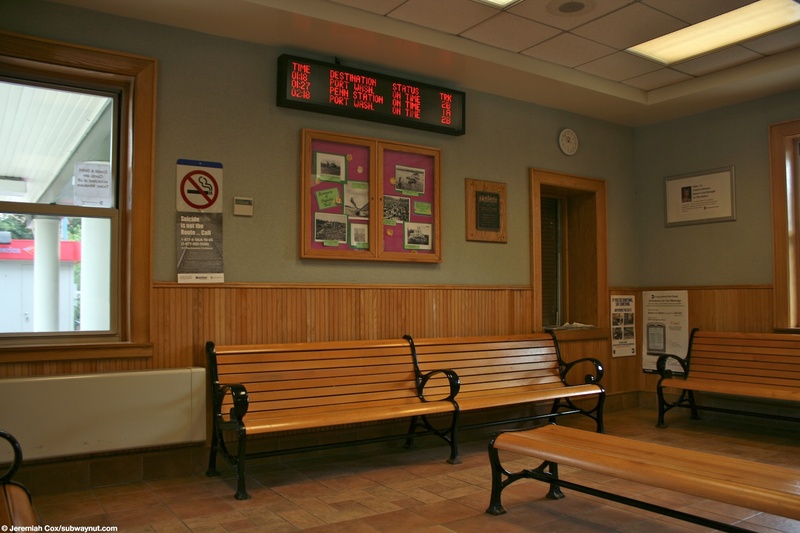 The waiting has some wood paneling and wooden benches but lacks that historic feel for a 1924 station. 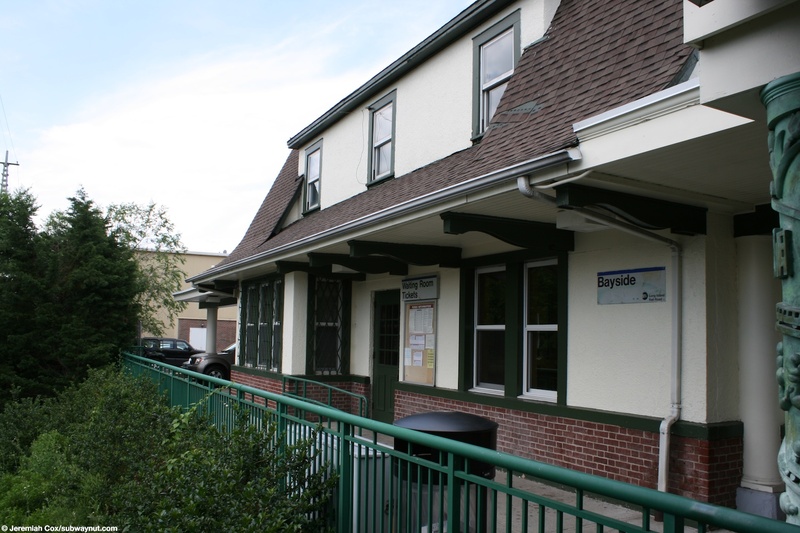 The station house has a small driveway off of 41 Avenue. 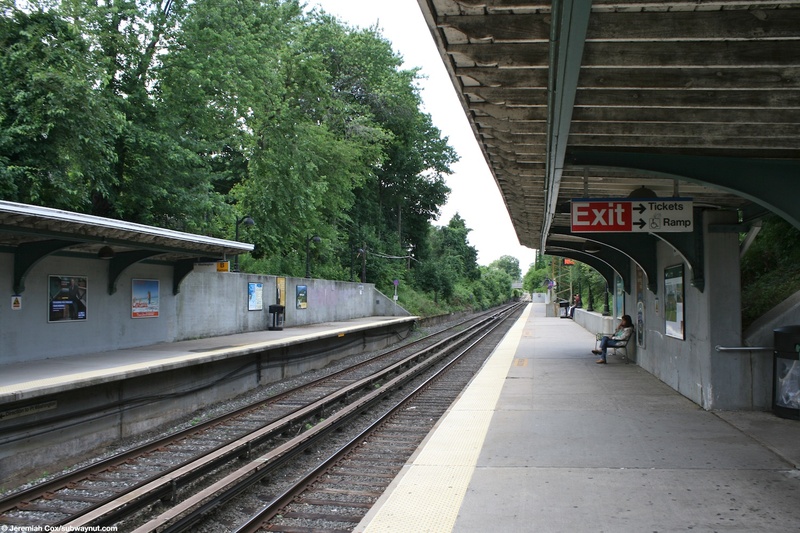 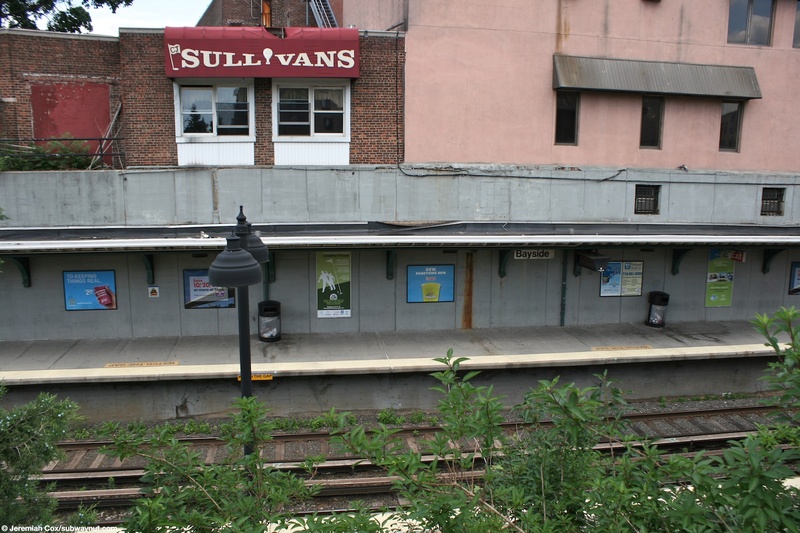 The eastern end of the platform has the overpass of Bell Boulevard. 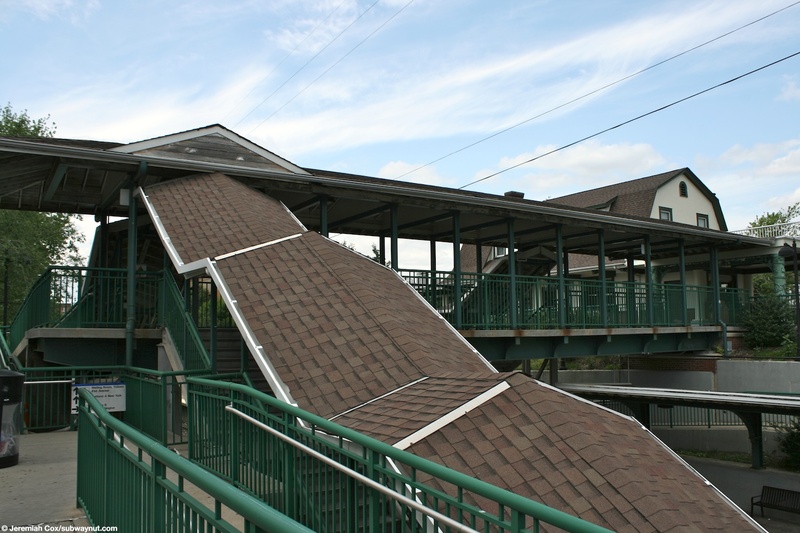 This overpass has two staircases down to each platform, one from either side of the street. 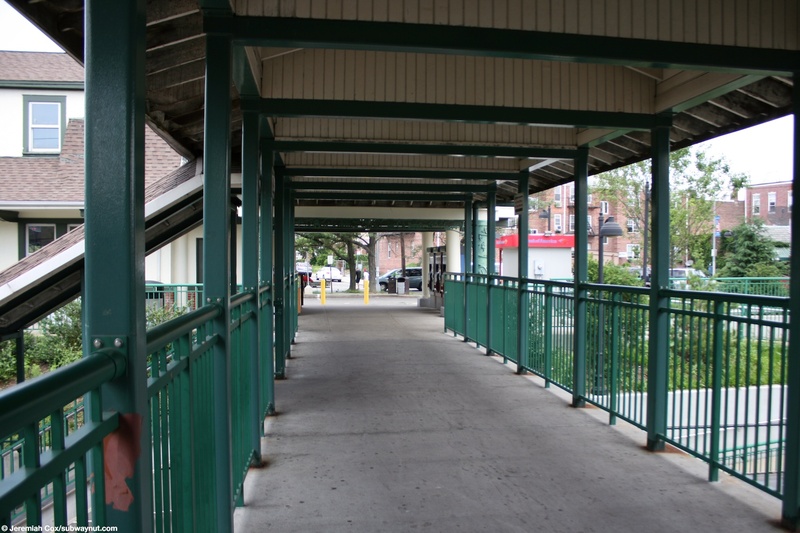 Finally along the the Port Washington-bound platform that has a plaza and road running above it is a small two story brick building that goes from street level to the platform below. 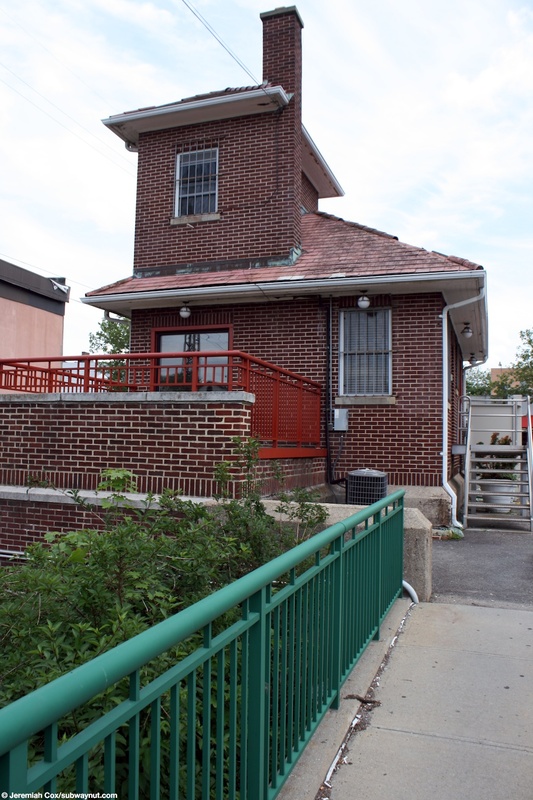 This is an elevator formerly used to bring freight down to the tracks when Bayside still had freight service.